Happy Mother's Day! It's a big day in the world of mothers and I have to say, mine never quite meet the standard of the Mother's Day posts I see on Facebook. My niece calls it "Falsebook", which makes me laugh every time. I don't think most moms have super high expectations, but maybe we do ourselves a disservice when we always put ourselves last, it makes it so much easier for your family to do the same. Much food for thought, but that's not why you are here, right? You are here because you want to see what books I got this week! 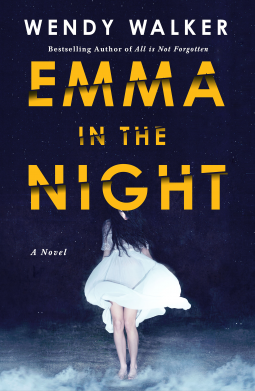 Emma in the Night by Wendy Walker.....One night three years ago, the Tanner sisters disappeared: fifteen-year-old Cass and seventeen-year-old Emma. Three years later, Cass returns, without her sister Emma. Her story is one of kidnapping and betrayal, of a mysterious island where the two were held. But to forensic psychiatrist Dr. Abby Winter, something doesn't add up. Looking deep within this dysfunctional family Dr. Winter uncovers a life where boundaries were violated and a narcissistic parent held sway. And where one sister's return might just be the beginning of the crime. He Said, She Said by Erin Kelly....In the hushed aftermath of a total eclipse, Laura witnesses a brutal attack. 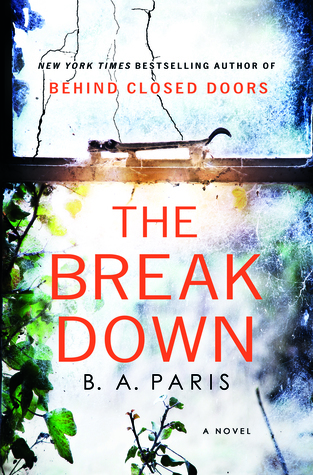 she saw the car in the woods, on the winding rural road, in the middle of a downpour, with the woman sitting inside―the woman who was killed. She’s been trying to put the crime out of her mind; what could she have done, really? It’s a dangerous road to be on in the middle of a storm. Her husband would be furious if he knew she’d broken her promise not to take that shortcut home. 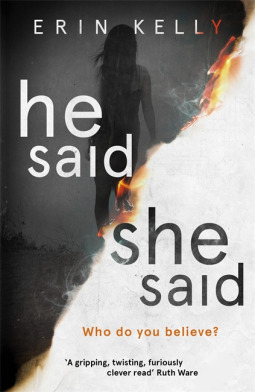 And she probably would only have been hurt herself if she’d stopped.